A stylish interior and exterior plaster ceiling design can present pleasing and stunning style in the building, regardless of corporate offices, residential houses, hotels, convention halls, mix development building, commercial shop lots, garage and even museum. "Plaster decoration and ornament has been evident in civilizations since the beginning of recorded history, ranging from Ancient Egyptian architecture to the apparent lack of ornament of 20th century Modernist architecture." When people walk around the building, their eyes will wander on each detailed part. It can be on the pillar, ceiling, domes, floor, decorations and accessories in the building. 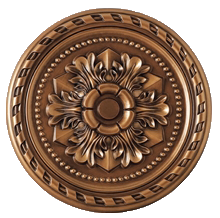 Make their eyes astonished when seeing the top part of your building with fantastic plaster ceiling design. You can find more than 1000 different shapes, colour, sizes and design of ceiling in OSP. The firm works closely with each client on a 100% open book basis where everything is transparent, and all bids, invoices, and receipts are available for client review at any time.